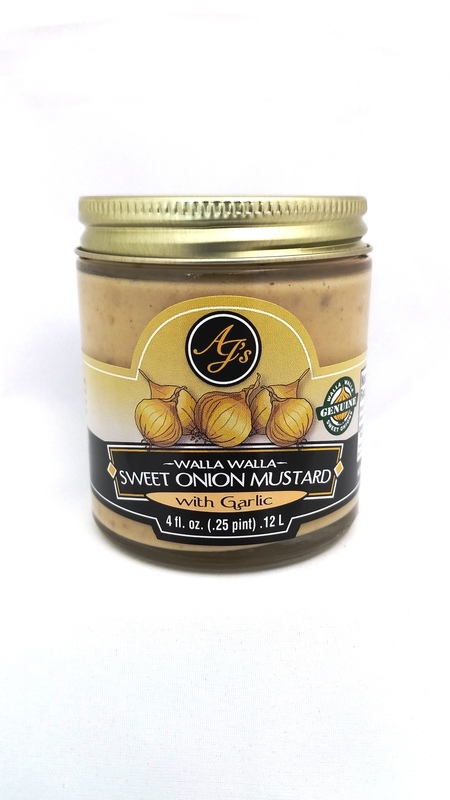 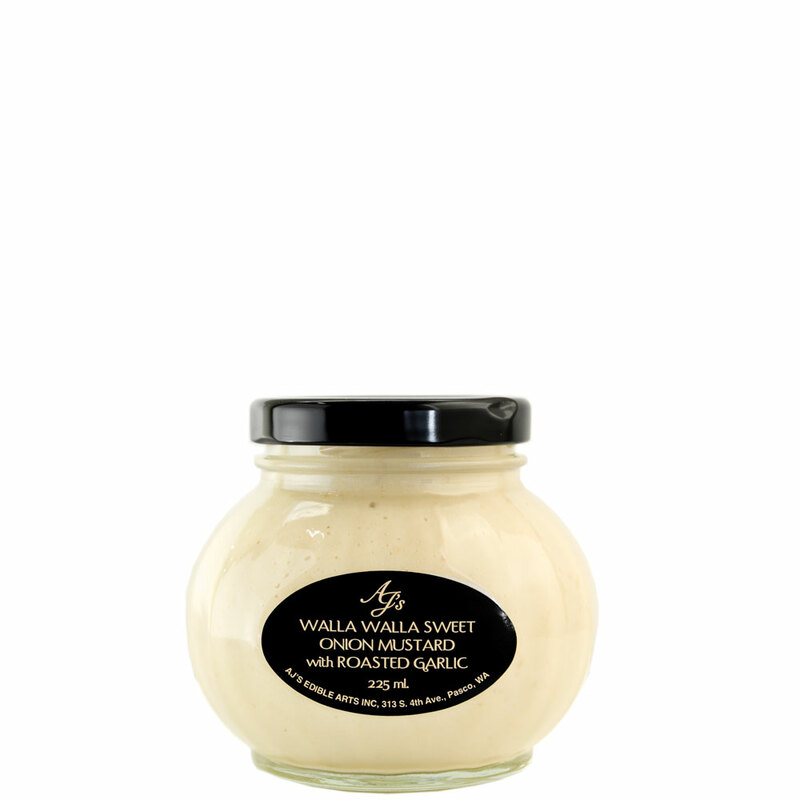 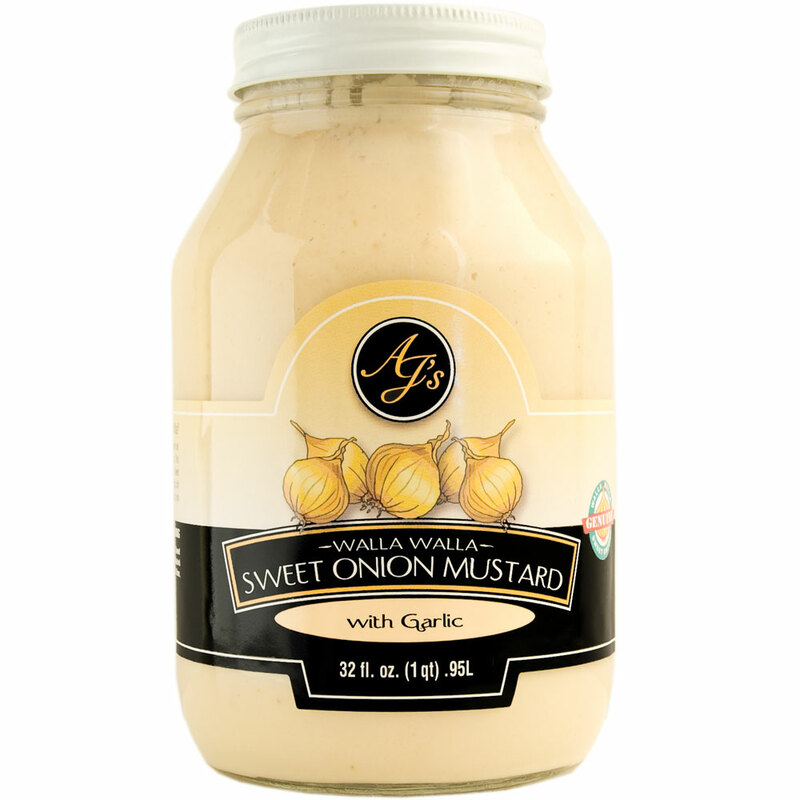 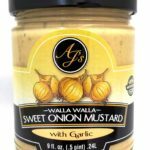 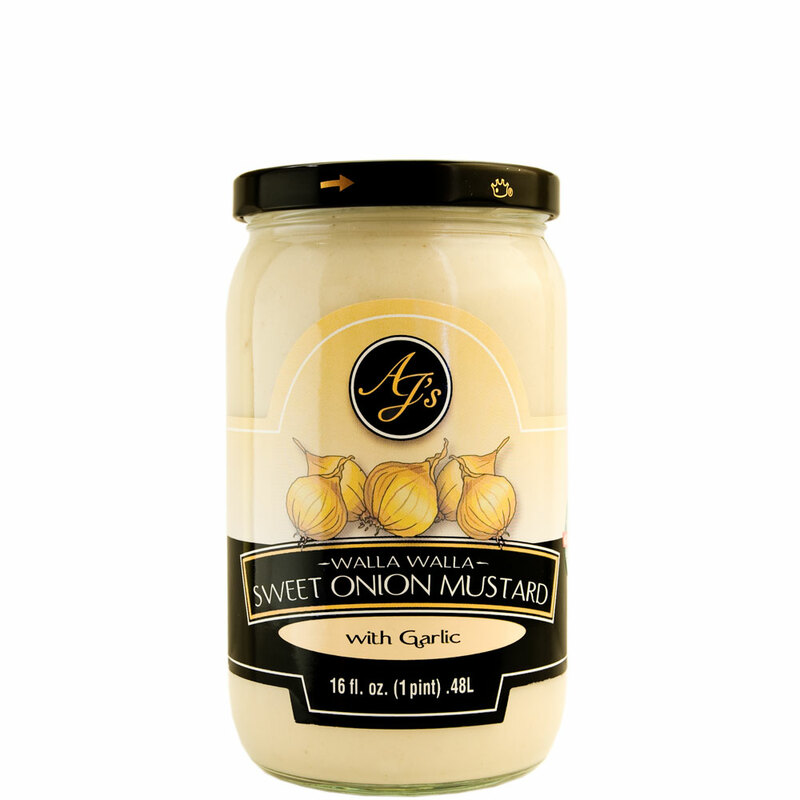 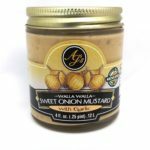 This version of our popular Walla Walla Sweet Onion Mustard utilizes roasted garlic to add a fantastic bold flavor. 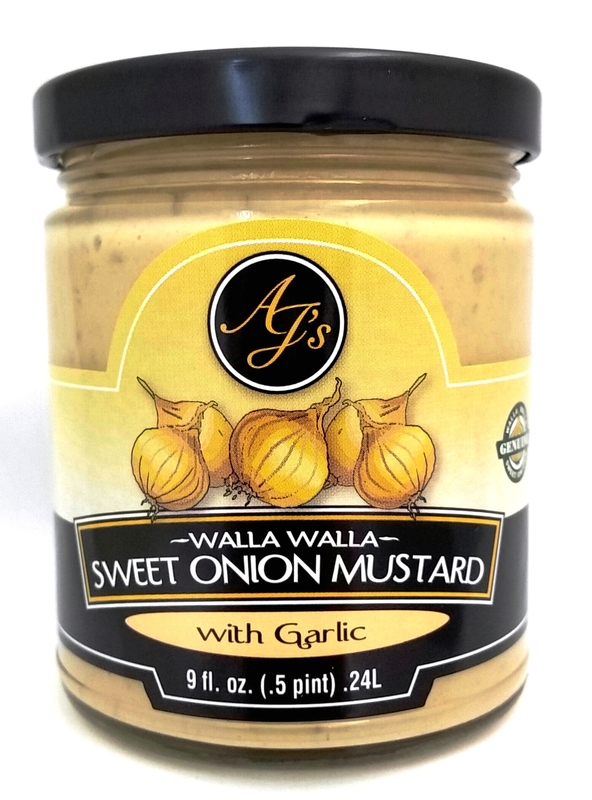 This garlic mustard combined with the subtle sweetness of Walla Walla Sweet Onions used in our mustard adds a rich, full flavor profile that goes well with sausage and is a great addition to any recipe calling for dijon mustard. Ingredients: Walla Walla Sweet Onions, white wine vinegar, water, sugar, ground mustard, soybean oil, egg whites, roasted garlic, mustard bran, granulated garlic, lemon juice, salt, citric acid, potassium sorbate.